Divorce mediation is a voluntary process in which you and your spouse meet with an impartial third person--the divorce mediator--for the purpose of identifying, discussing, and resolving your differences in a constructive and cooperative manner. My role as your divorce mediator is to help both of you to: identify goals and shared interests; gather information; develop options; and communicate openly, honestly and civilly with each other. As your divorce mediator (trained as a marriage and family therapist), I also help you to express and explore underlying emotions that may be preventing you from reaching an agreement. The ultimate goal of divorce mediation is to help the two of you to communicate with each other so that together you can develop a mutually acceptable divorce agreement that considers the needs and concerns of the entire family, an agreement that each of you is willing to honor in the years ahead. In order for the two of you to reach such a divorce agreement, you will have to meet together with me for several sessions in order to discuss and resolve a variety of issues. 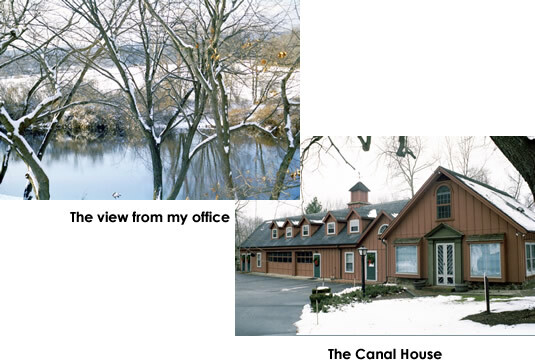 We will meet in the privacy and serenity of my office located on the banks of the Farmington River.